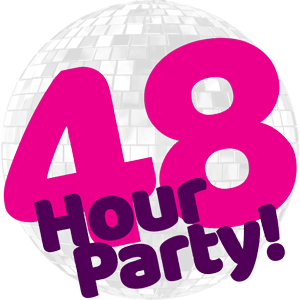 ULTIMATE COMEDY WEEKEND | 48 Hour Party! FROM ONLY £29 PER PERSON! » Live performances from Josh Widdicombe, Iain Stirling, Chris Ramsey & many more! Join us for a barrel of laughs at Southport Holiday Park (North West) on the 30th November – 1st December 2018. Enjoy a weekend of rib-tickling comedy featuring a mix of the biggest and best Comedy acts on the circuit who will have you and your friends giggling all weekend long. Then, after a jam packed evening of comedy there will be fantastic live party bands and a late night DJ to take you into the early hours! There are late bars, restaurants and takeaways, access to our live comedy venue & all facilities plus lots of activities & entertainment taking place throughout the day; what better way to spend the weekend!? Deal is based on a minimum on 2 people sharing (so 2 vouchers must be purchased). CLICK HERE TO PURCHASE YOUR VOUCHER! All places are subject to availability. Price is per person based on a minimum of 2 people sharing. 2 vouchers must be purchased to complete booking. Prices based in a self catering 4 Berth upper floor Popular apartment for 2 nights, midday check out. Linen, Towels & Electric not included. A valid Wowcher/Living Social voucher is required to process your booking. Please ring Pontins on 0844 576 5944 to book or check availability. Calls are charged at 13p per minute + your chosen phone company access charge. Voucher must be redeemed by 14/11/18, no refunds permitted after this date. ‘Redeemed by’ means – date holiday must be booked by.